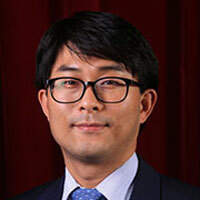 The Academy of Human Resource Development (AHRD) has selected Junhee Kim, Ph.D., Assistant Professor of Organizational Leadership in the Purdue School of Engineering and Technology at IUPUI, to receive the 2019 Human Resource Development Cutting Edge Award. It will be awarded at the 2019 AHRD Conference in the Americas held from February 13-16, 2019 in Louisville, Kentucky. Founded in 1993, the AHRD is a global organization made up of HRD scholarly community of academics and reflective practitioners. In addition to a world-class International Conference in the Americas each year, AHRD sponsors two more International Research Conferences per year: in Europe and in Asia. The Cutting Edge Awards are given to the author(s) of up to ten outstanding scholarly papers from those published in the annual Conference Proceedings of the AHRD for the same year. Kim has been selected to receive the award for his meta-analytic research entitled “Reliability Generalization of Transfer of Training”. He conducted the research during the summer of 2018 in South Korea using his start-up funds. In the paper, Kim and his two international co-researchers conducted a meta-analysis called Reliability Generalization, investigated the trends in reliability of the training transfer data, and identified measurement conditions under which reliability of training transfer measures could be enhanced. His study is highly valued and recognized because an excellent reliability of research tools is a critical requirement for any credible research results.